The Enviromax Combi Internal from FireBird is a 20kW size oil boiler. This range from FireBird provides both domestic hot water and central heating water in a single appliance. This can mean saving you the cost and space that a separate hot water tank can bring. It has a compact design and can even fit under a standard kitchen worktop, making in discreet and unobtrusive in any home. It boasts hard wearing casings with a high quality finish and is fully insulated and acoustically designed for ultra quiet operation. It has a range of features that allow it to run efficiently including a PCB controller with accurate thermistors, single circulating pump with an electronic diverter valve, high performance riello RDB burner with full diagnostic control box, and rapid re-heat. It is straightforward to install, with multi directional flue options, and also easy to service thanks to its front access. There is an optional condensate pump and timer and this boiler features no flow switch. 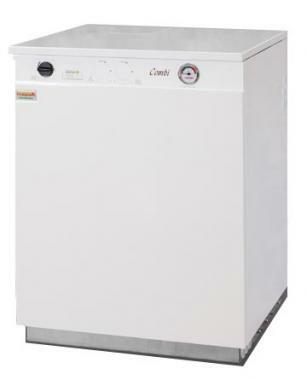 The Enviromax Combi also comes in an external model. This model comes in the dimensions: height 845mm x width 665mm x depth 605mm.